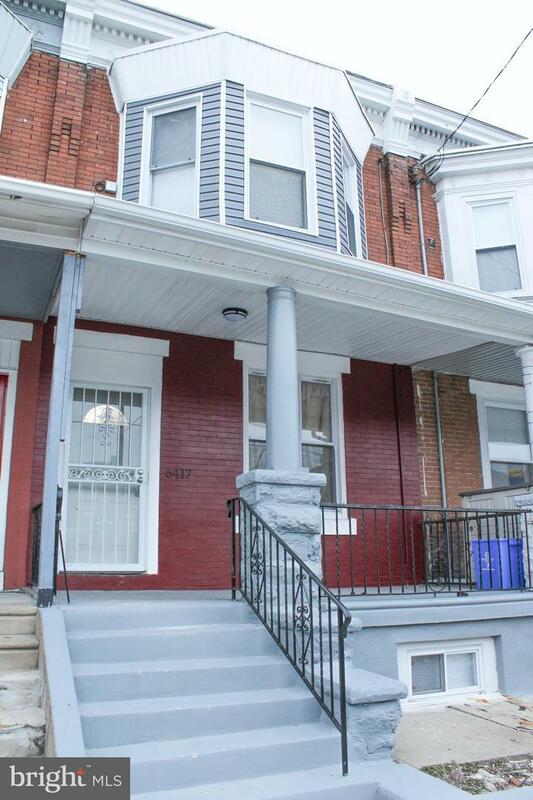 Step into this beautifully renovated 4 bedroom 2.5 bathroom in the Cobbs Creek section of Philadelphia. Enter your future home into the large family room with modern ceiling fan, high ceilings, and ample recessed lighting throughout. As you continue to tour, you will enter the large kitchen and dining area with plenty of space to entertain! Off the kitchen is the first of two full bathrooms and access to the outdoor patio. This 1,600 square foot home features hardwood floors throughout first and second floor, nicely tiled kitchen with upgraded stainless steel appliances, high end granite countertops, and custom kitchen cabinets. Upstairs you will find 4 bedrooms with ample closet space and a full bathroom which is beautifully tiled and new glass sliding door. Each bedroom is fitted with modern ceiling fans with remote control. The basement is fully finished and complete with a half bathroom. Located walking distance to 56th Street Train Station, Fresh Grocer, and Malcom X Park, makes this the ideal location for you to call home!